Vladimir Yakunin, president of Russian Railways. Vladimir Yakunin, president of financially struggling Russian Railways and bearer of U.S. sanctions, said Thursday that his company would follow the example of Rosneft, Russia's biggest oil company, and not publish his income declaration or those of its other top managers, media reports said. 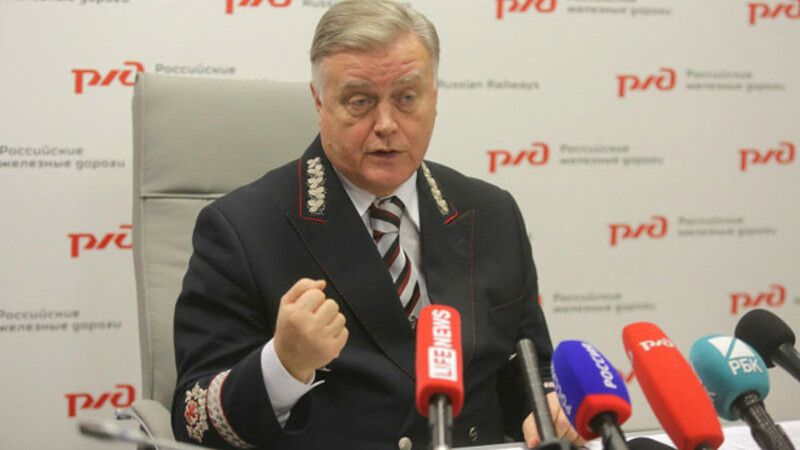 Speaking at the ninth International Business Rail Forum in Sochi, Yakunin said state-owned Russian Railways had sent information about the pay packages of its top managers to the tax and government authorities, but will not publish them itself, RBK reported. He said the agencies could publish the documents "if they want." As part of Russia's fight against corruption, President Vladimir Putin in July 2013 signed a decree requiring state companies that were set up by federal law to publish their leadership's salaries on their official websites. Prime Minister Dmitry Medvedev also in 2013 ordered the creation of a list of 63 state enterprises that have to report the earnings of not just their executives, but also their spouses and children. However, the Cabinet's order only stipulates that the declarations must be supplied to a special state department for verification, publication is not one of its requirements, RBK reported, leaving many big state companies with wiggle room. Oil major Rosneft earlier week also declined to publish the pay package of its chief, Igor Sechin, who Forbes estimated to have earned a whopping $50 million last year, on the basis that the company was not established by federal law. On Wednesday, a company spokesman told Interfax that it would reverse the decision if other state companies followed suit, but now Russian Railways has also turned its nose up at the idea. Yakunin, who has headed the state rail monopoly for nine years and was recently blacklisted by the U.S. for his links to Putin, was rated by Forbes as the ninth best-paid manager of a Russia company for 2013, with a reported salary of $15 million. Russian Railways and Rosneft are not the only state enterprises to have declined from publishing income declarations. Gazprom, Rosneftegaz, Russian Railways, Aeroflot, Rushydro and Inter RAO also held out on publishing such information as well, Vedomosti reported earlier this week.